Minion Robot Toy Just $40.33! Down From $80! PLUS FREE Shipping! You are here: Home / Great Deals / Amazon Deals / Minion Robot Toy Just $40.33! Down From $80! PLUS FREE Shipping! Amazon has this Minion Robot Toy on sale for only $40.33 down from $79.99 PLUS FREE shipping! Have you ever wanted to have your very own loyal henchman to help carry out all of your mischievous schemes? Meet Turbo Dave, your own personal Minion! Turbo Dave will make you laugh with over 140 comedic responses to sound, touch, and the free app. 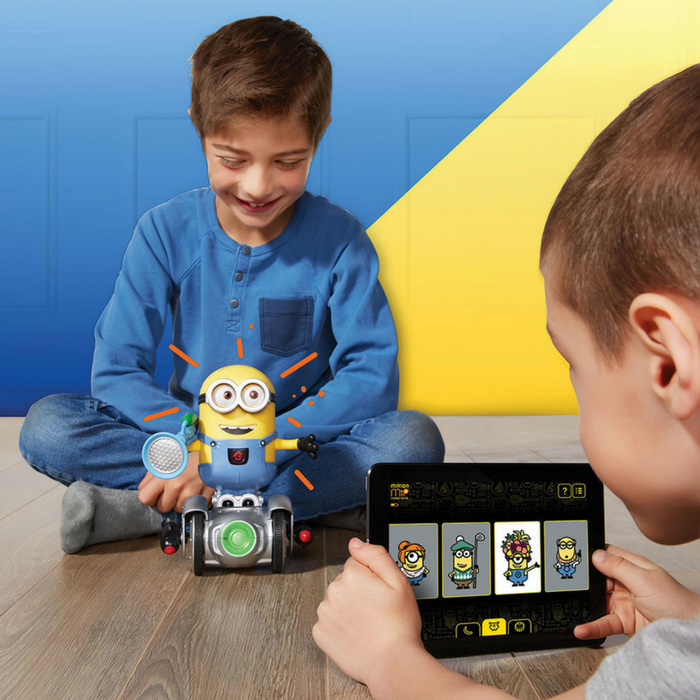 Minion MiP responds to hand gestures and can even navigate your room. Download the Turbo Dave App in order to control your Minion remotely, plan paths for him to self-navigate, interact with other characters or props from the Despicable Me franchise, and even have a fart blaster battle with another Minion MiP! Also included is a block-based coding platform for educational programming fun. When desperate times call for DESPICABLE measures, Wowwee’s Turbo Dave can bring in the mischievous fun!